Grapes have a distinct sweet taste. There are several varieties of grapes. Each variety has a distinct colour. Grape, the undoubted queen of fruits, is among the healthiest of all fruits as it is rich in several vitamins, minerals and anti-oxidants. Grapes are not only full of flavours, but they also come in a wide variety of colours from white to green to purple and black. But, red is the most common of them all. Although all of them are grapes, each colour has its own distinct taste and nutritional value. It gets even more confusing when it comes to choosing between purple and white grapes. So, which one should you get? Here are some facts to help you make the decision easier for you. Red grapes are rich in flavonoids and have a number of health benefits. Red grapes are known to contain two flavonoids called quercetin and resveratrol. Quercetin is a powerful antioxidant that can fight free radicals, protecting the body from diseases and reducing the effects of aging. Besides, it also works as an antihistamine that helps reduce symptoms of seasonal allergies. Resveratrol is known for its anti-inflammatory effects that prevent arthritis and heart diseases. 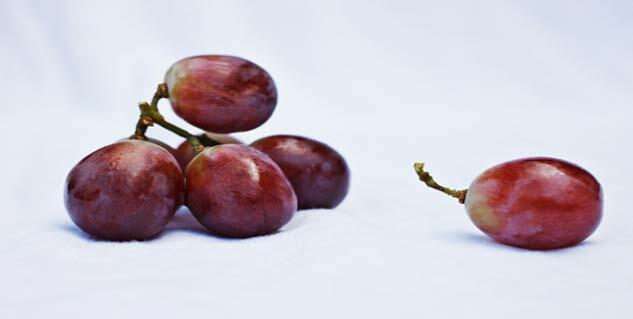 Other nutrients found in red grapes include beta-carotene, magnesium, copper, calcium, iron and vitamin K, E and C.
White grapes may not be as nutritious as purple grapes, but that does not mean you should not eat them. 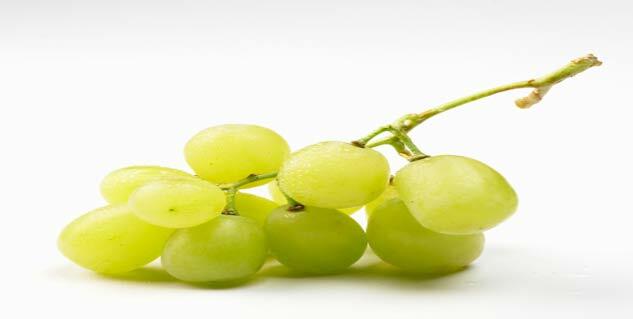 White grapes contain ample amount of antioxidants along with many other nutrients. They are believed to be good for your stomach and can even be used to detoxify your body.White grapes are easy on your digestive system and they also boost the natural cleansing process of your body. Well, you may consider several things while choosing your grapes, but eventually you will be eating a healthy fruits which is full off delicious unique flavour and nutrition. Eating grapes is a wise choice for your health regardless of the colour of the grapes.